For an increasing number of data intensive scientific applications, parallel I/O concepts are a major performance issue. Tackling this issue, we provide an outline of an input/output system designed for highly efficient, scalable and conveniently usable parallel I/O on distributed memory systems. 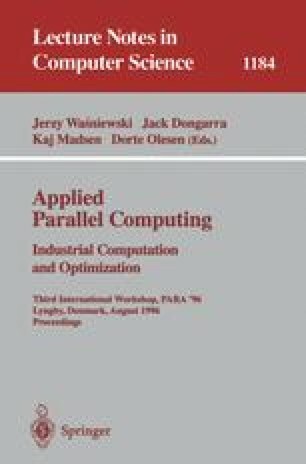 The main focus of this paper is the parallel I/O runtime system support provided for software-generated programs produced by parallelizing compilers in the context of High Performance FORTRAN efforts. Specifically, our design is presented in the context of the Vienna Fortran Compilation System. The work described in this paper is being carried out as part of the research project “Language, Compiler and Advanced Data Structure Support for Parallel I/O Operations” supported by the Austrian Research Foundation (FWF Grant P11006-MAT).